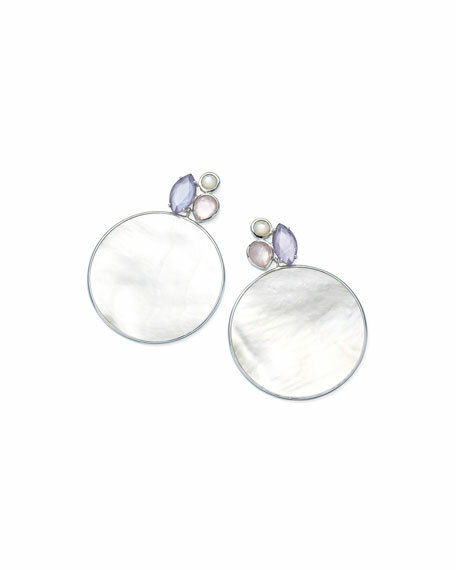 Ippolita earrings from the Wonderland Collection. Polished sterling silver hardware and settings. Multi-size doublet marquise and circle posts. Clear quartz over mother-of-pearl doublets. Large round doublet circle drop. Post backs for pierced ears. For in-store inquiries, use sku #2529609.